Bermuda Day was formerly known as the Empire Day and was earlier held mainly to celebrate the birthday of Queen Victoria. It was first celebrated on May 24, 1902 to unite all the British colonies with a common cause of celebrating the Queen's birthday. However as the colonies became independent, this day was celebrated to mark their own national identity and heritage. In 1958 the Empire Day became known as Commonwealth Day. These days for most Bermudians, the day marks the beginning of summer in the island. Bermuda day is a public holiday and is usually held on May 24th every year (from May 2018 it is celebrated on the last Friday of the month). 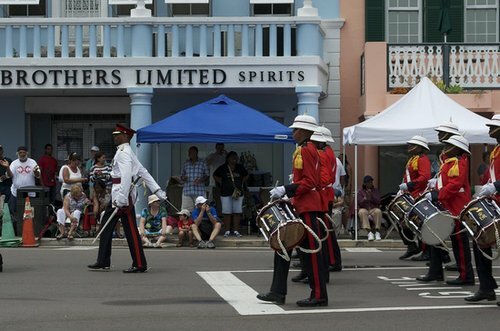 Bermuda Day is now also known as Heritage Day as it showcases the island's culture and heritage. So what happens on Bermuda Day? There are plenty of activities that take place across various parts of the island and thousands of people line up along the streets to watch the events. Two of the most important events includes a Half Marathon Race terminating in Hamilton and a grand colorful parade in Hamilton known as the Annual Heritage Day parade or the Bermuda Day Parade. These are sponsored by the Department of Community and Cultural Affairs of Bermuda. The day was actually celebrated as Bermuda Day for the first time in 1979 and in its current form that included the 13-mile half marathon and the parade. It was started on recommendation of Pitt Commission. The introduction of the marathon was particularly significant in the context of 1977 riots in Bermuda, because it helped immensely to bring back unity within the racially divided groups through camaraderie. The origin of the half marathon however dates back to 1910 when a group of Somerset runners first organized a race around the Great Sound water area. The British military men posted in the island came to know about the race and challenged the locals. The British won the race. This resulted in a fierce competition between the two groups and the race was re-organized next year by the Somerset runners to restore the pride of the local community. And thus the Half Marathon was born in the island. The parade is represented by Gombey Performers, group dances, traditional Bermuda bands, dance trucks, musicians, floats, pageant queens, community groups and many other diverse participation. The floats are inspired by the Floral Pageant that once took place between 1930 to 1968. You will see floats intricately decorated with flowers and vegetation showing island themes such as landscapes, cultures, produces etc. The designers work on the floats for weeks to bring out the island's unique and natural themes. Prizes are given to the floats and on different categories. While the route for the parade changes, it usually starts at 1.30pm. A typical route would be to start from Bernard Park in Pembroke (Marshfolly Road), moving to Cedar Avenue, then to Church Street, Court Street, then to Front Street, finally moving to Queen street and ending at Wesley Square for the closing ceremony with dance. There is also an invitational cycle race that takes place on Bermuda day. It starts from Somerset and ends in Hamilton. A fitted-dinghy race held on the day in St. George's Harbor. The 13-mile Annual Half-Marathon which is held on Bermuda day usually starts from the junction of Cambridge Road and Somerset Road in Sandy's Parish, and ends at Bernard Park in Pembroke parish (near Hamilton City). The race starts at 9:00am. There are refreshment and water stations along the way for the participants. People turn up in large numbers at all these events during Bermuda day and line up along street sides to cheer the participants. Many reserve their favorite vantage points from the previous nights and use ropes or tapes to carve out their own private space. Bermuda day is also the first day in summer when many Bermudians go to the waters and take a dip for the first time in the year. So it really marks the beginning of summer. This is also supposed to be the day when men wear Bermuda Shorts first time in the year as official attire. Many enjoy picnics at the beaches. Today Bermuda Day is the most widely celebrated public holiday in the island other than the Cup Match holidays. Update December 2018: Bermuda Day of 2019 will be held on Friday 24, 2019. Update May 2018: Bermuda Day this year would be held on Friday, May 25, 2018. In fact the Acting Minister of Social Development and Sports announced that Bermuda day henceforth would be held on the last Friday of the month of May to combine it with the weekend. Update May 2017: This year the Bermuda Day Parade (on May 24, 2017) would start from Dutton Street (Bernard Park), go through Cedar Avenue, Church Street, Front street, Queen Street and end at City Hall Car Park. Vendor stalls would be put up on Front Street and City Hall Var Park. Update May 2016: The Bermuda day parade started from Bernard Park in Pembroke (Marshfolly Road), moved along Cedar Avenue, then Church Street, Court Street, then to Front Street, finally moving to Queen street and ending at Wesley Square for the closing ceremony with dance. Update May 2015: After 37 years, the starting point of the half marathon was changed from the west to the east. It started from St. George, going along North Shore Road, then via Flatts, Front Street in Hamilton and finally ending at the traditional finish line at Bernard’s Park. The Parade in Hamilton moved along Marsh Folly Road, Cedar Avenue, Church Street, Court Street, Front Street, Queen Street and finally finishing at City Hall Car Park. Lots of vendors had set up stalls along Front Street. One of the great floats this year had the title "Bermuda Under The Sea" and depicted the underwater life in Bermuda showing many fish, colorful corals & reefs, starfish, sharks etc. Update May 2013: Like previous year, in 2013 too the Bermuda Day was celebrated with much fanfare and included the parade, half marathon etc. The residents started occupying space by the roadside from the previous night itself to grab the vantage locations. Thousands jammed Hamilton as the parade which comprised of floats, majorettes and Gombey dancers moved on for about 4 hours. Like earlier years it started from Bernard Park, from there to Dutton Avenue and Marsh Folly Road, and then it entered Cedar Avenue, at the end it turned left to Church Street and then right into Court Street and then to Front Street where the Premier and the Governor of the island along with other dignitaries were watching the procession from the Reviewing Stand. In fact the Premier came down from the stand and made some dance moves. The parade finally headed for Queen Street and ended up at the City Hall car park where hundreds cheered as the parade entered the premises. Another highlight of 2013 Bermuda Day was when Thomas Smith proposed to her girlfriend in front of all the spectators after winning the Half Marathon, and his elated girlfriend of course said yes. In fact Thomas was carrying a ring with him which he then slid through her finger. Update May 2011: In 2011, the route of the Heritage Day Parade has been changed. It starts from Bernard Park in Pembroke, takes the Cedar Avenue and goes along Front Street, Queen's Street and Church Street in Hamilton City. The final viewing stand is at City Hall car park where the dance troops, music trucks and other parade participants would pass by. Hi, most shops & restaurants in Bermuda are closed during public holidays including Bermuda Day. Bus & ferry services are also reduced. You are unlikely to find any street vendors selling food on this day. But the public beaches will remain open. 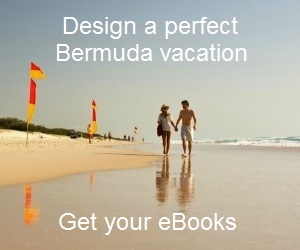 In fact Bermuda Day signals the start of summer for the islanders and there will be lots of them in the beaches. Some tour operators will operate. Loads of locals and tourists would move towards Hamilton for the parade. Hi, I Understand that the online registration for the half marathon should take place through their website. However the site is still not working properly and you may need to wait. Meanwhile try to contact Bermuda Tourism department for more information (Call 24-hours toll free 1-800-BERMUDA or Email [email protected]). Regards.